This NOW Candida Support review examines important information which allows customers to make an informed decision when purchasing this product. 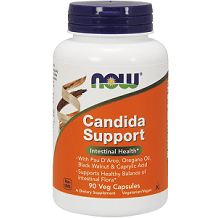 NOW Candida Support is a supplement designed to improve the body’s ability to fight Candida yeast infections. Specifically, it encourages the growth of healthy bacteria in order to provide balance in the gut. These antifungals are commonly found in supplements that fight yeast infections. Each ingredient helps the body fight Candida in a different way. Biotin encourages the growth of healthy bacteria. A biotin deficiency can cause Candida overgrowth. Magnesium does not necessarily fight Candida. However, a magnesium deficiency can also cause Candida overgrowth. Caprylic Acid interferes with Candida’s cell structure. It weakens it, causing it to die. Pau D’Arco loosens the bowel which encourages bowel movements to flush out Candida yeast. Black Walnut contains properties that kill harmful parasites, fungus, and yeast. Finally, Oregano Oil Powder stops the growth of Candida yeast, which gets rid of the infection quicker. Adults should take two capsules a day with food. There are no other specifics about taking NOW Candida Support. Users can most likely take these capsules at the same time or at different times throughout the day. The manufacturer does not list any possible side effects on the product’s label. However, some customers have reported stomach pain, an itchy scalp, and constipation as possible side effects. 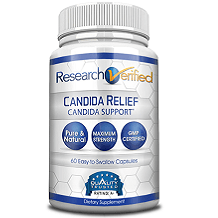 Customers have also reported that NOW Candida Support has a strong smell. Pregnant and nursing women should not take this product without a doctor’s recommendation. Individual’s taking other medication should consult a doctor before taking this product. NOW Candida Support can be purchased through the manufacturer’s website. There are two different purchase options. A 90-capsule bottle costs $19.99. A 180-capsule bottle costs $35.99. NOW Candida Support can also be purchased through third-party websites, such as Amazon and iHerb.com. Amazon offers four different packages. Customers can purchase a 90-capsule bottle, a 180-capsule bottle, two 180-capsule bottles, or three 180-capsule bottles. The manufacturer does not advertise a guarantee or return policy on their website. However, they do have a product feedback form on their website. Customers can use this to voice any complaints. Customers can also contact them by phone or email with any concerns or questions. NOW Candida Support seems to be a good product for treating yeast infections. It is a well-known product, with many customer reviews. The majority of reviews are positive. Although, there are customer reviews complaining about uncomfortable side effects despite the natural formula. This product is priced well. A 90 capsule bottle should last about a month and a half. However, there is no guarantee to go along with this product. It is always good to look for a product backed by a guarantee as it shows the manufacturer has confidence in their product.